Our chefs use fresh, seasonal ingredients to make delicious menus items. We also offer a variety of daily features to keep our guests coming back for more! We offer convenient online ordering for delivery in the Woodbridge area. It's fast and easy-to-use. You don't have to worry about not wanting to cook anymore! If you can't make it to us, let us cater to you. 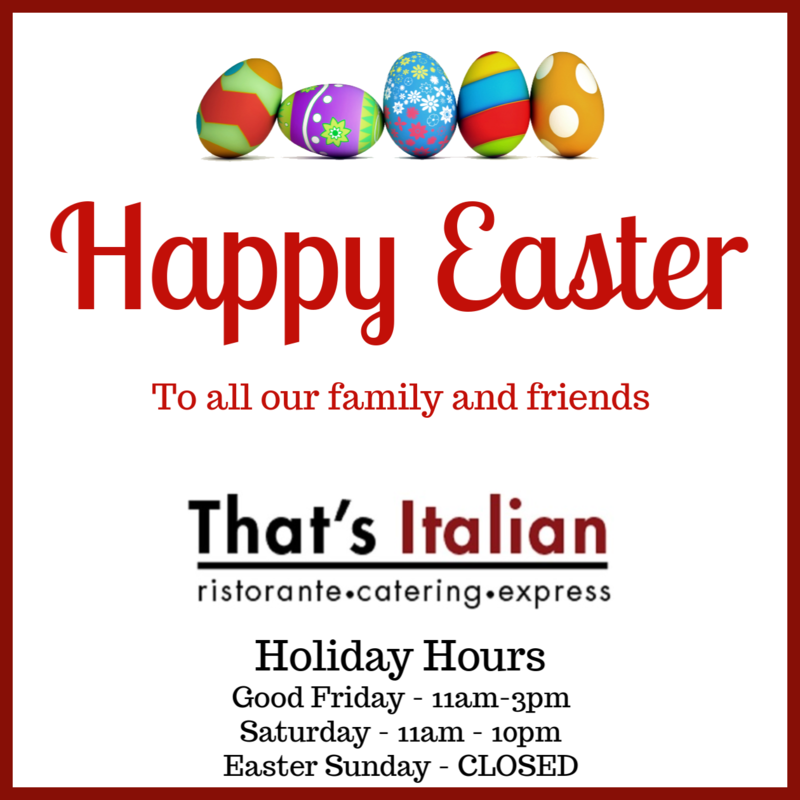 We deliver fresh, authentic Italian food all across the Greater Toronto Area. We cater to many large corporations on a weekly basis as well as private events. Where else can you eat great food and get rewarded? Join our FREE loyalty program and earn cool stuff like FREE food, gift cards and movie passes! As a family-operated business with over 40 years of experience, we definitely know a 'thing or two' about good food. We started in Toronto's Little Italy as Regina Pizza in the early 1980s and eventually, we moved up to Woodbridge in 2008 where we have been ever since. We strive to give our guests an authentic Italian experience with time-tested recipes, premium ingredients and warm, friendly service. 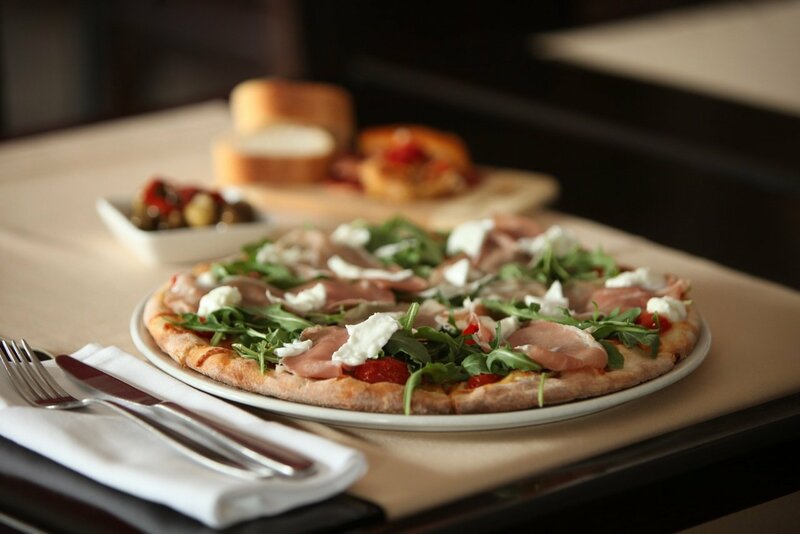 With our amazing pizzas, delicious pastas and wide selection of savoury mains, you're GUARANTEED to find something you'll order over and over again! Our Woodbridge location is located near Pine Valley and Highway 7. We hold approximately 65 guests on our main floor and 35 guests in our private dining area. We have plenty of FREE parking and we're conveniently located near major highways (400/407/427). We are serving italian food and catering services widely around Richmond Hill, Woodbridge, Vaughan, Mississauga, Toronto, Markham & Thornhill. If you live in the Woodbridge area and can't make it to the restaurant, you don't have to worry. We offer local area delivery by simply calling 416.ITALIAN / 416.482.426 or online. You can enjoy a hot, delicious meal in the convenience of your own home or office. If you register for our BUONO POINTS program, you'll even get rewarded simply for eating great food. How amazing is that? Fresh. Homemade. Authentic. Once you try us, we'll have you saying "...now That's Italian!" We'll take care of you like you're a part of the family! Kitchen closes at 9:15pm. Hours may vary. We recommend calling ahead prior to your visit. Earn BUONO Points AND get a FREE appetizer just for signing up! EAT more, EARN more at That’s Italian.